Flying over an exotic beach with palm trees. The water is crystal clear and blue, you can see the coral reef. 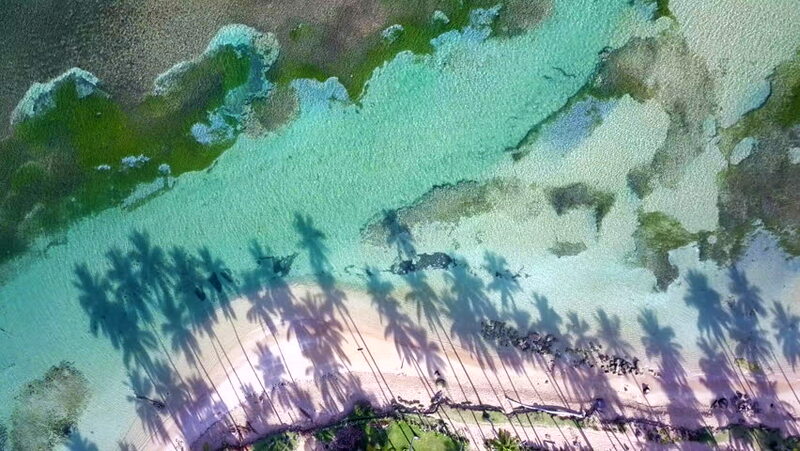 The palm trees have a amazing shadow. 4k00:24Aerial footage of turquoise blue bay in Nusa Lembongan island in Bali Indonesia. hd00:16Autumn Colors at Oyasukyo Hot Spring Gorge in Yuzawa city, Akita, Japan.